Can’t see yourself clearly when trying on new eyewear? 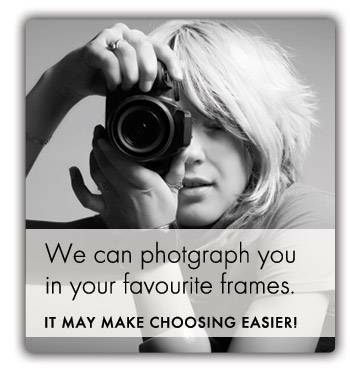 Afraid you’ll choose the wrong frame? So, let us take photos of you (and several eyewear choices) with our new Optikam, and we’ll e-mail them to you so you and your friends can see you in them before you commit to buying them! How is that for convenience? Here are our Opticians Top 10 Frame picks! Zero G: Hand-crafted in Japan using 1-piece of titanium. No screws. Extremely light. Masunaga: Hand-crafted in Japan by the oldest frame manufacturer in Japan, established 1905. Avantek: The rimless frame with no drill holes in the lenses, for drastically reduced distortion and extremely light weight. OWP: Precision made in Germany. Koali: Colors and shapes inspired by nature. Manufactured in France. Oga: Men’s European Fashion Eyewear featuring outstanding comfort and fit. Maui Jim: The best optics in prescription or non-prescription sunglasses. Oakley Ophthalmics and Sunglasses: Best for active wear. Switch Vision by Liberty: Features 2 pairs of magnetically-mounted lenses, which can be switched easily from polarized sunglass lenses to lightly-tinted sports lenses.